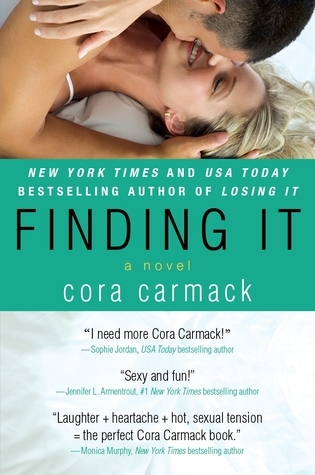 I started Finding It (Losing It #3) by Cora Carmack. I really enjoyed the previous two books in this series, particularly Faking It, but I was a little hesitant to start the latest because it features Kelsey and she was not one of my favorite characters. She was always trying to push her friend Bliss into doing stuff that was just not Bliss’s scene. But now that Kelsey has her own story and I get to be inside her head, I like her a lot more. She is like the wild child I wish I could be, but would never be able to pull off. Chaos Rectified. Great. No More Excuses.